At around age three, children have an active vocabulary consisting of 300 or more words. In fact, the average child has the capacity to acquire four to six words per day, given access to new words in daily experiences. 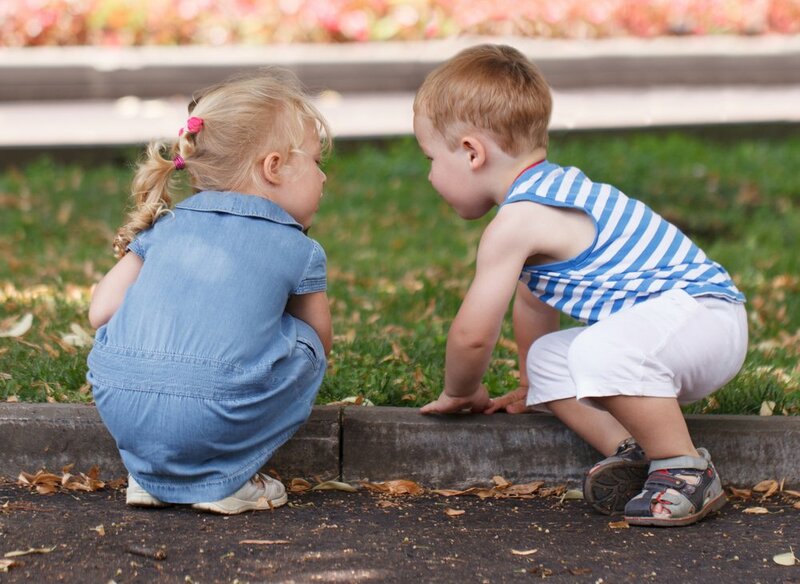 At this age, conversational skills flourish as well, as kids are now able to talk in sentences of three to four words and imitate speech sounds. Your little girl’s new language skills allow her to express her thoughts. The more advanced they are, the more she’ll be able to communicate and learn. These new language skills bring on new discoveries because of the many “why,” “what”, and “how” questions your little one is now able to ask. For example, when she doesn’t know the word for something, she’ll be able to ask “What’s this?” and you’ll be able to provide an answer, continuing to expand her vocabulary. Three-year-olds are still learning to properly use pronouns like “me” and “you”. Granted, they are simple words to pronounce, but they are difficult concepts to grasp, and the terms change depending on who’s talking. Lead by example and use those words correctly in your speech so that your little one can imitate you. At this age, your daughter’s speech will be much clearer; so much so that even strangers will be able to understand what she is saying. Before, you might have noticed that you were the only one who could understand what she was trying to communicate. You can stimulate your little one’s linguistic skills by singing, rhyming, and talking about what you are doing together. Reading books is also a great idea! Choose books that have a simple plot and talk about the story with your child. Once you are done reading, help her retell the story and talk about your favorite parts. You can work on language comprehension by asking questions related to the story. My little one stutters, should I be concerned?